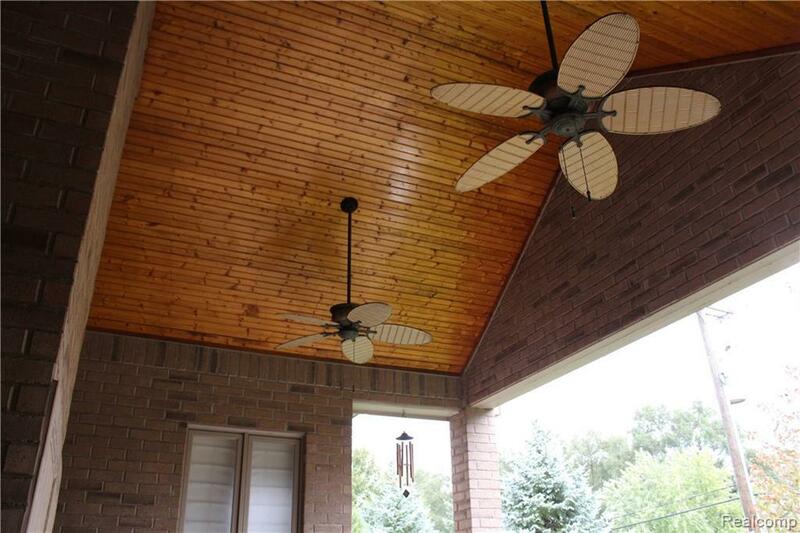 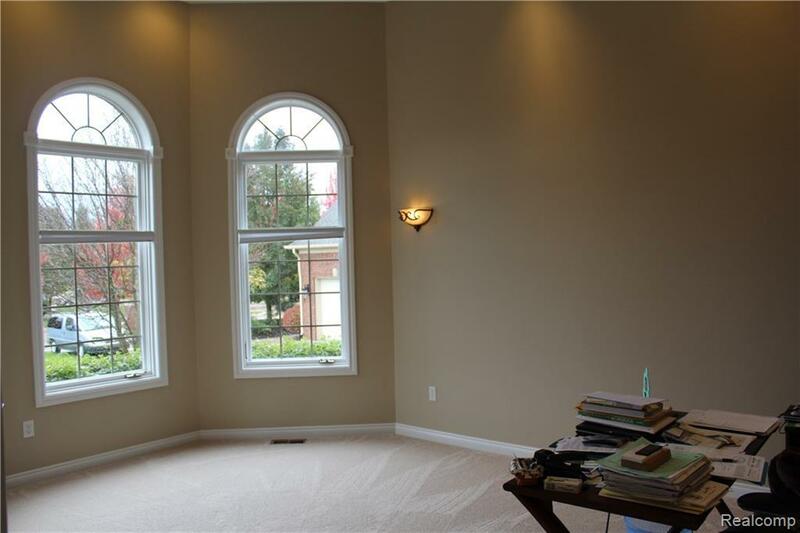 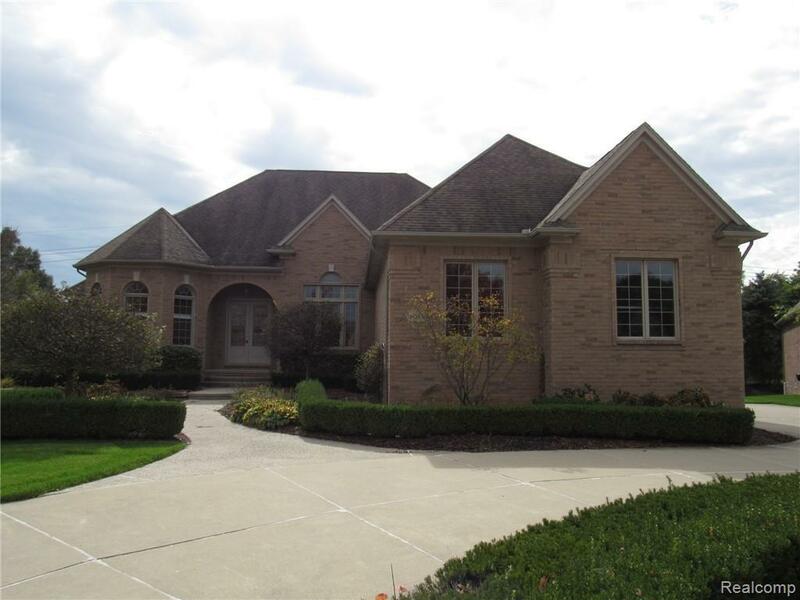 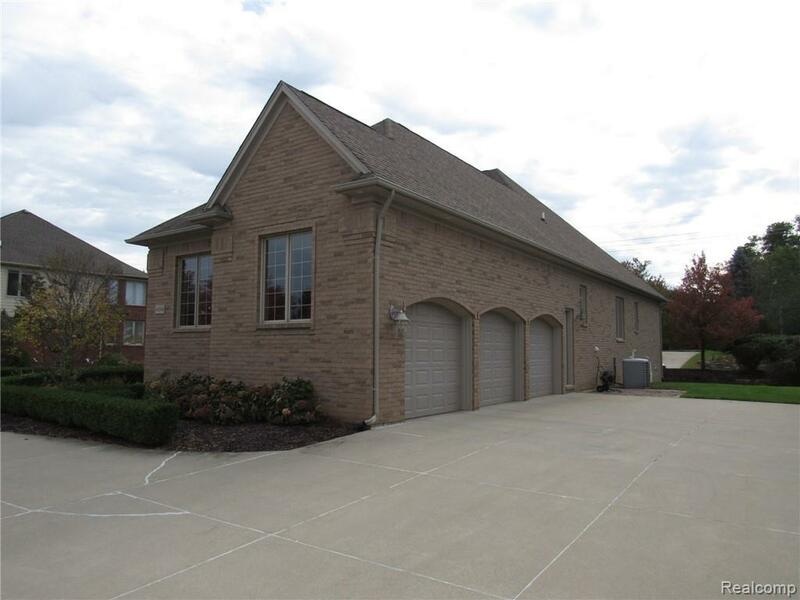 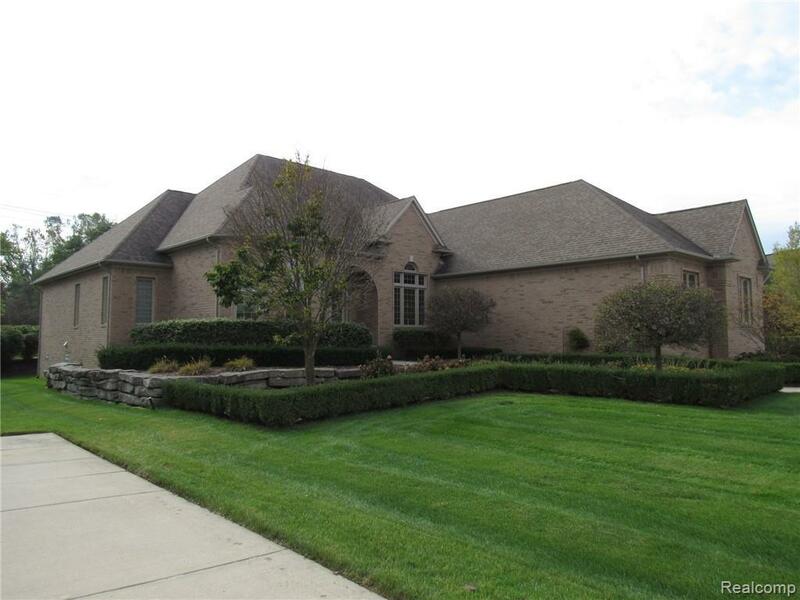 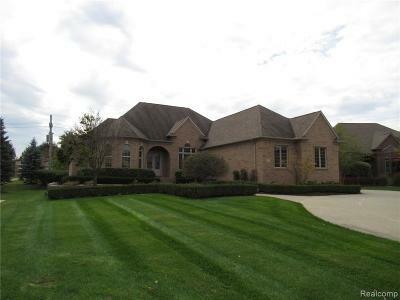 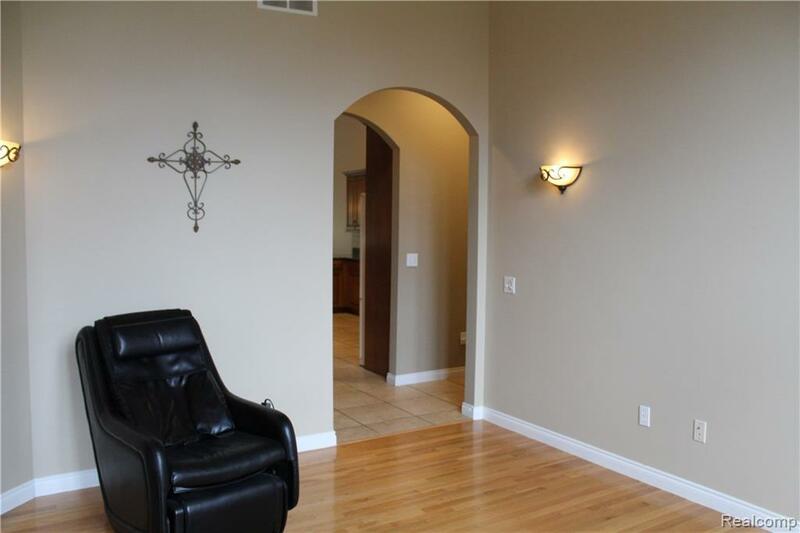 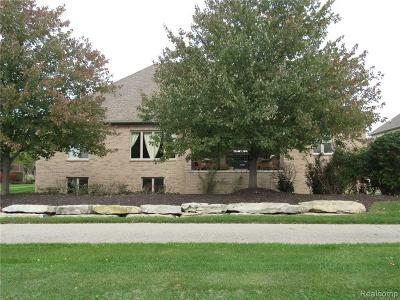 Original Owner of a custom built full brick ranch home on a cul-de-sac in Washington Pointe. 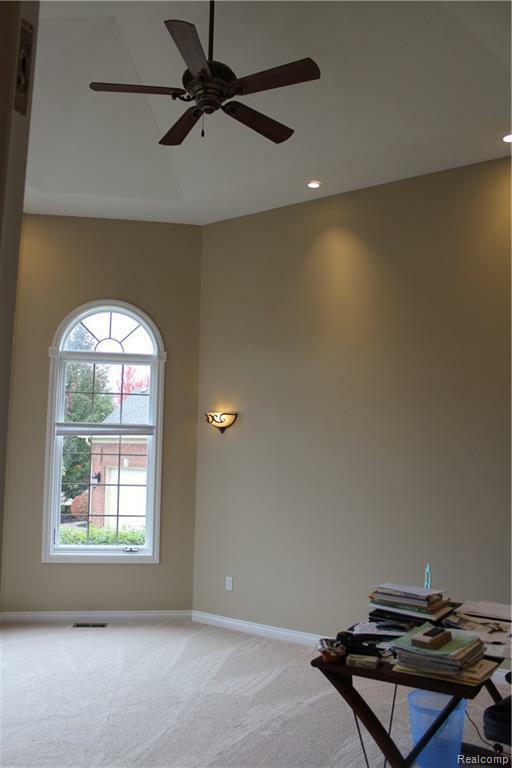 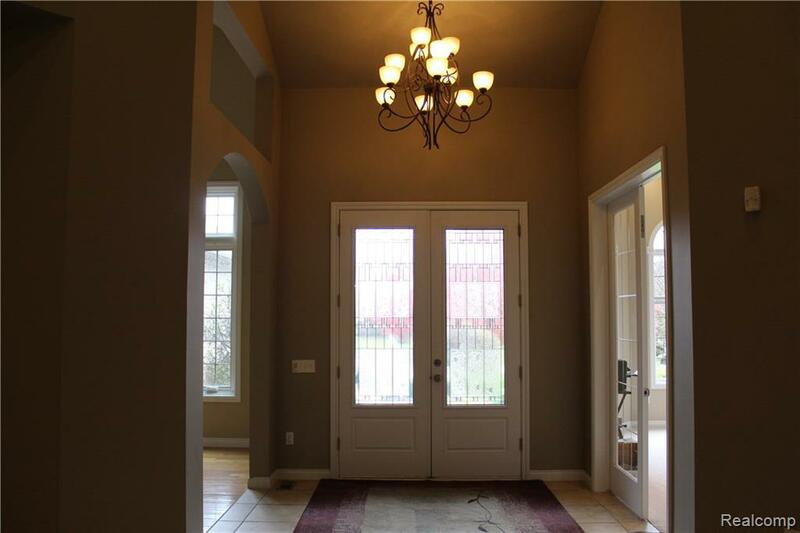 Open concept floor plan with soaring ceilings. Entire home finished with granite. 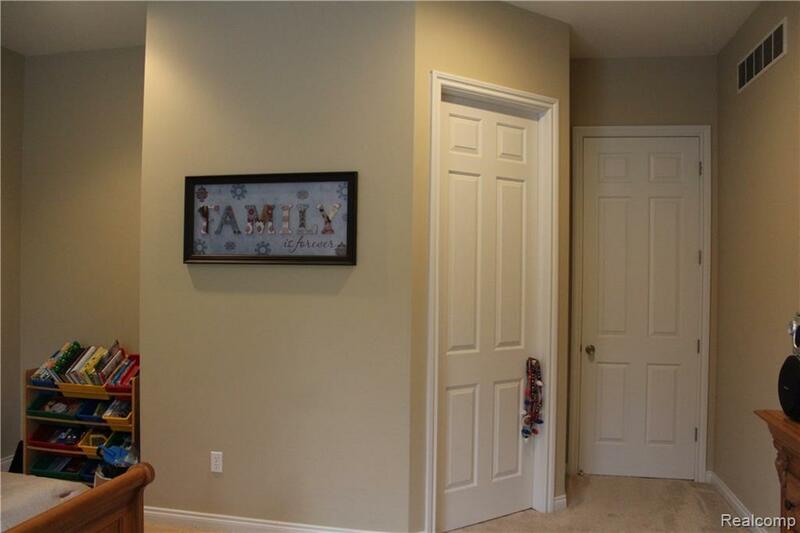 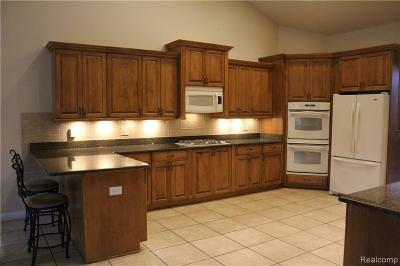 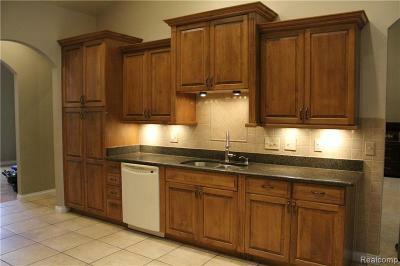 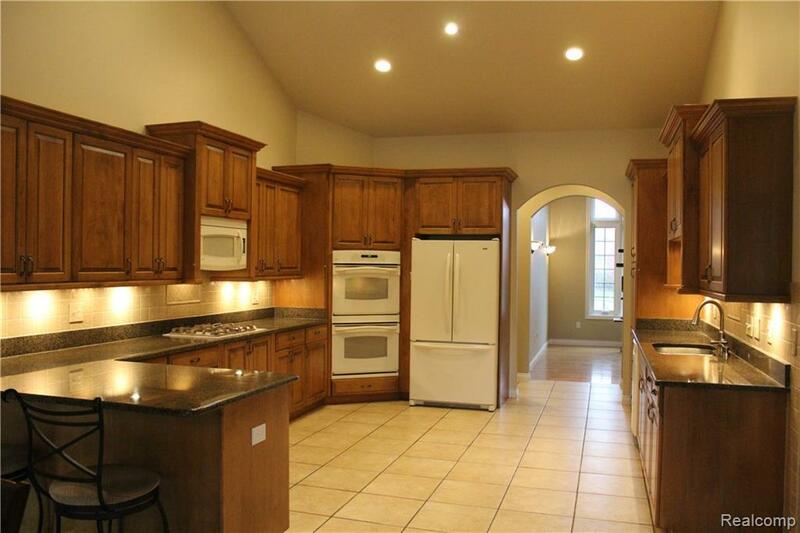 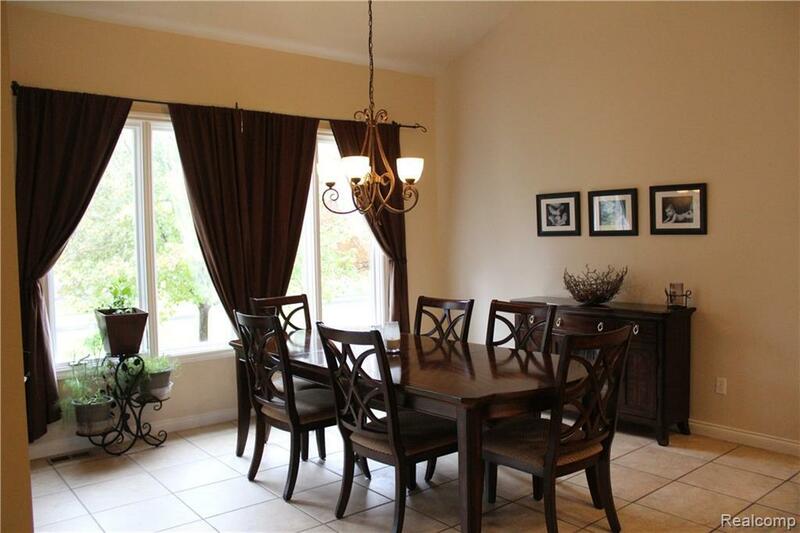 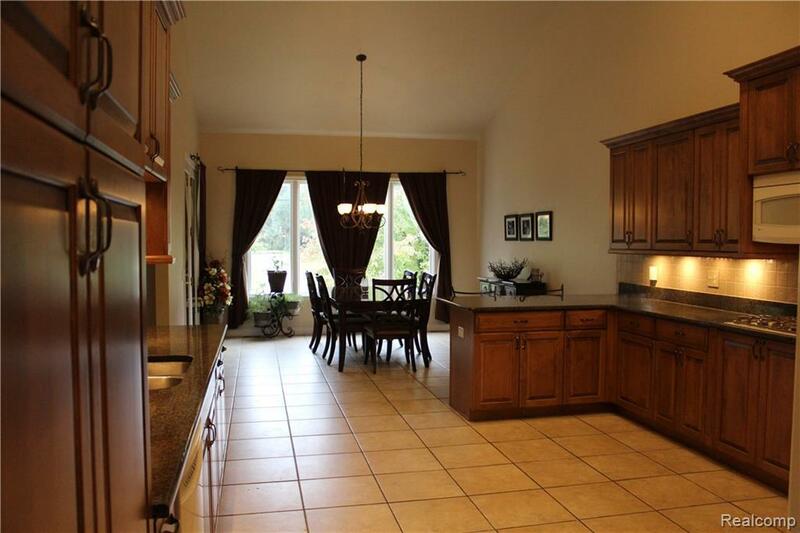 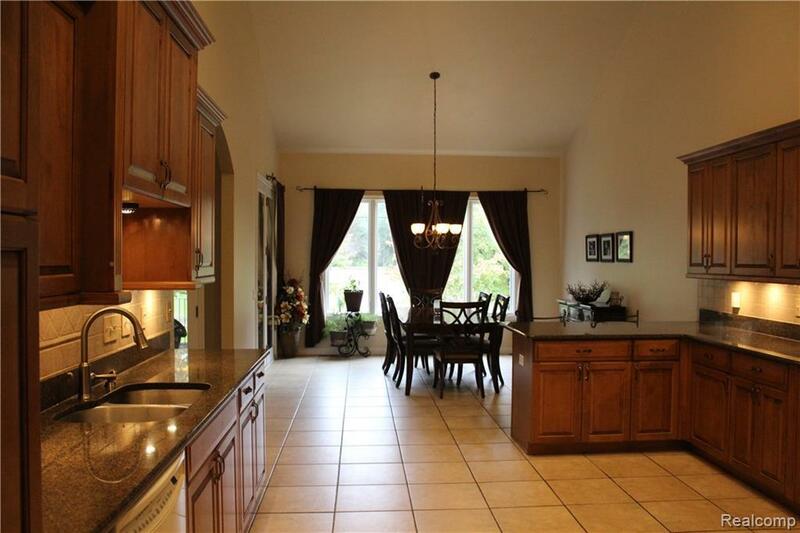 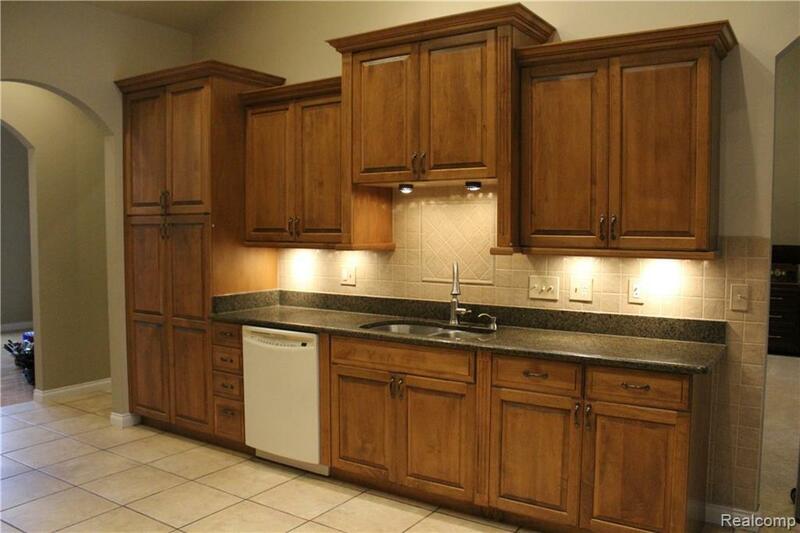 Features a huge kitchen, Lafata cabinets, and spacious dining area. 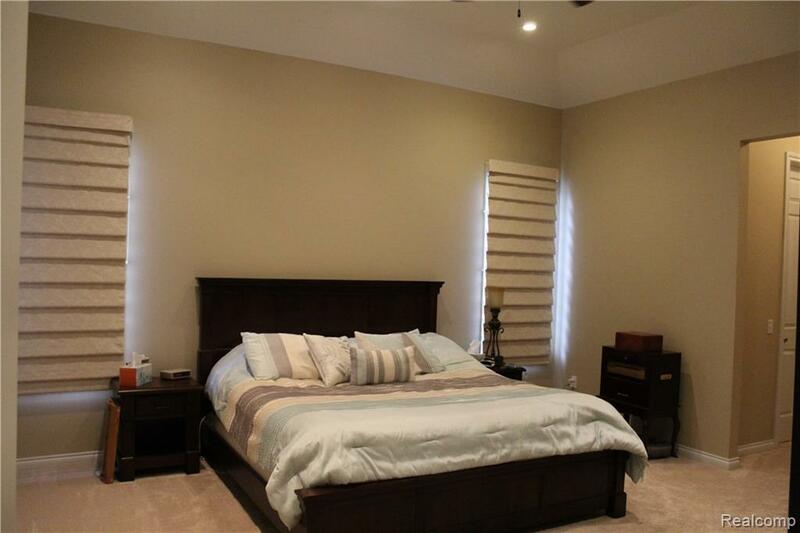 Master bedroom has his / her California custom walk-in closets. 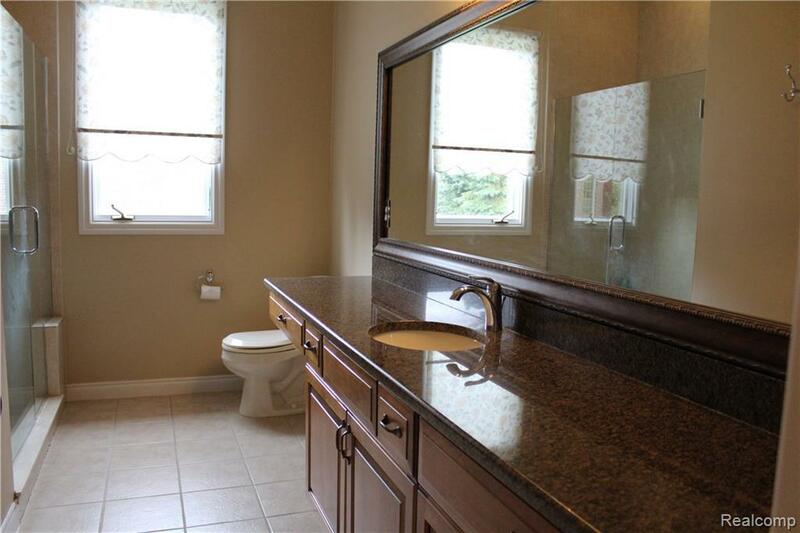 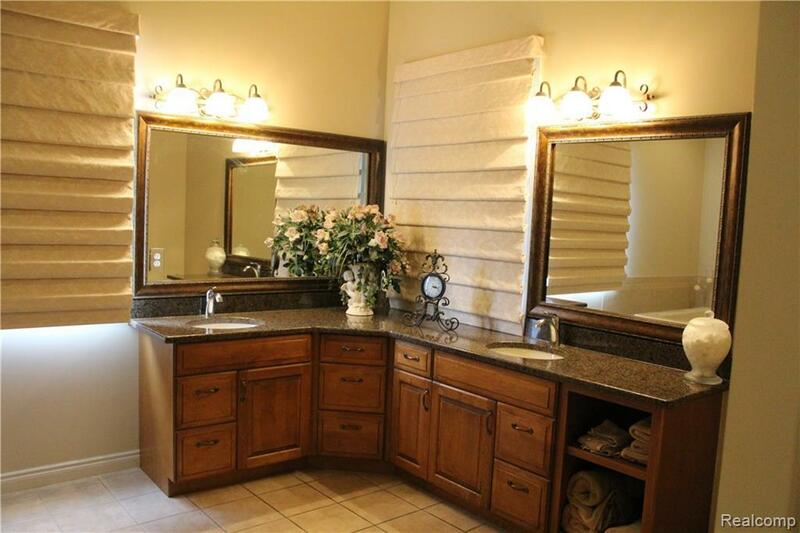 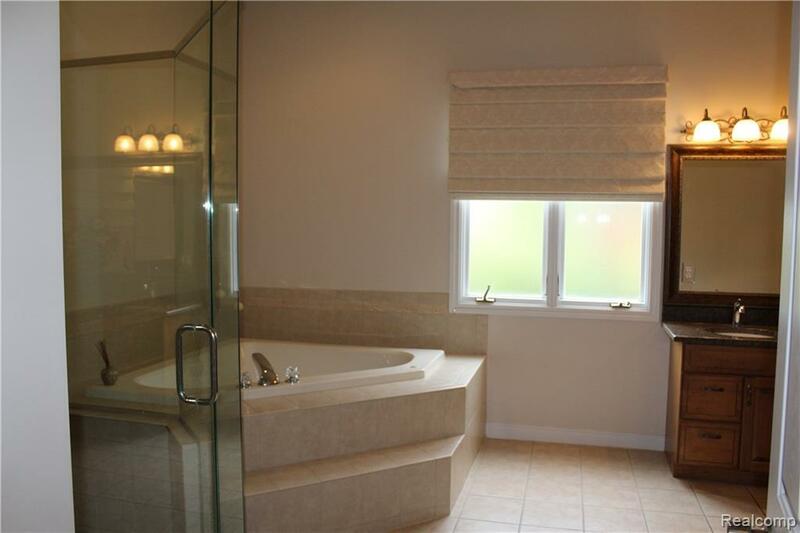 Luxurious master bath with a jetted tub and extra-large walk-in shower. 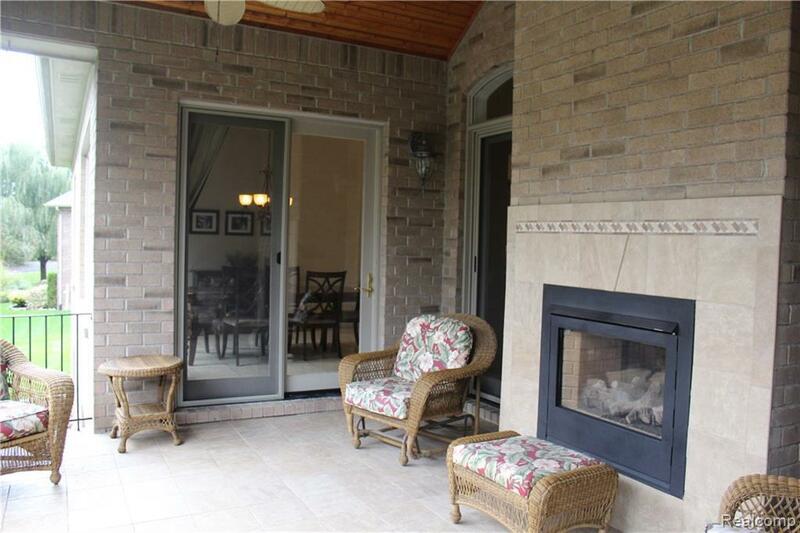 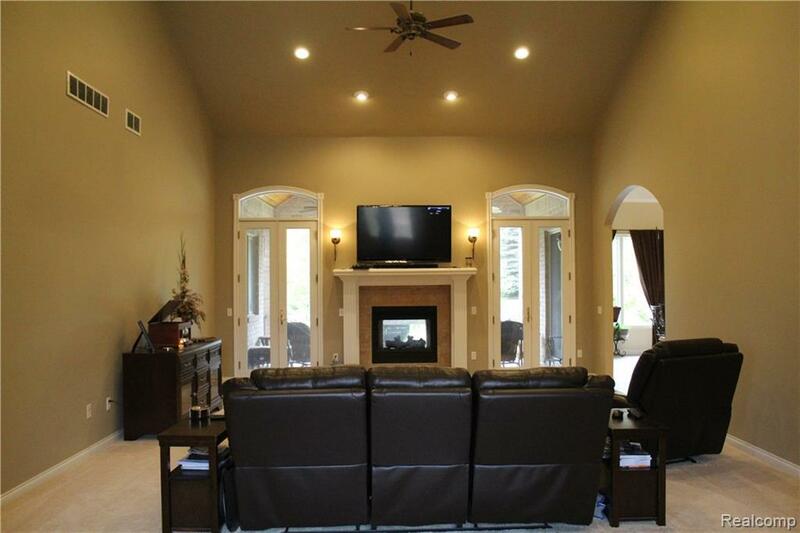 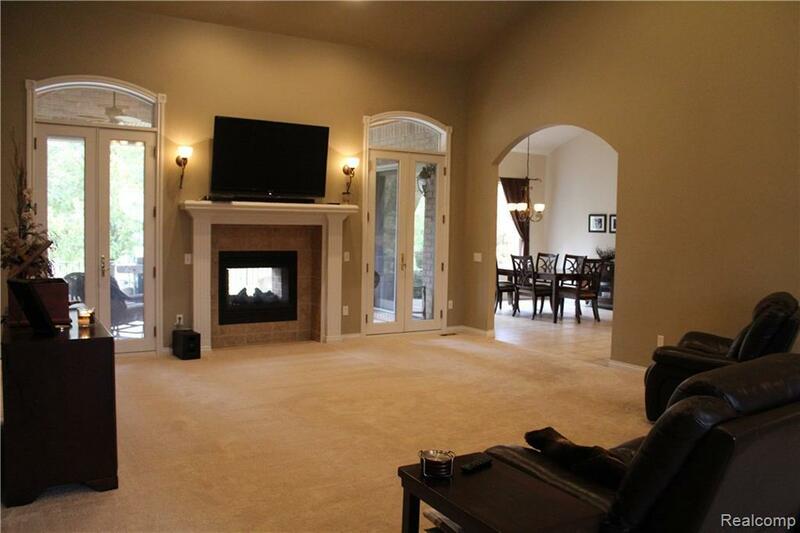 Great room boasts a 2-way fireplace which leads you to the covered outdoor terrace. 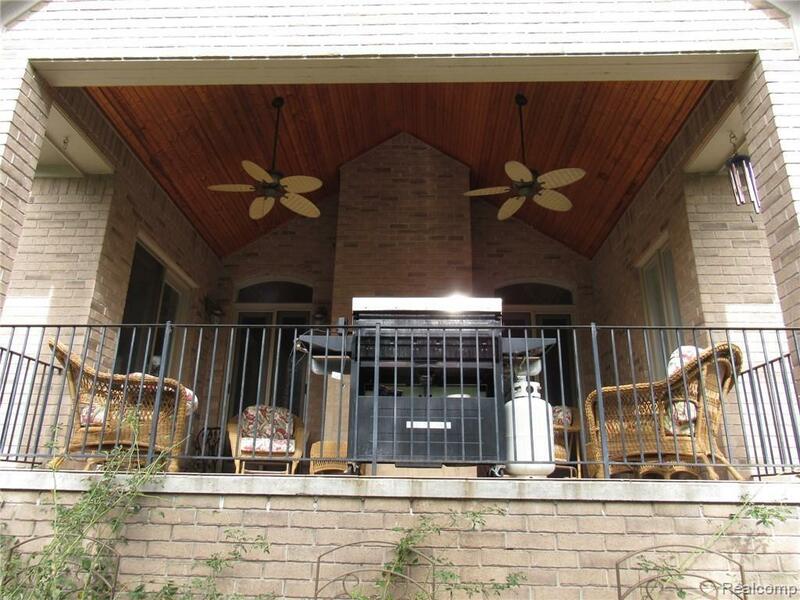 The terrace is ceramic tiled with hardwood ceilings and fans. 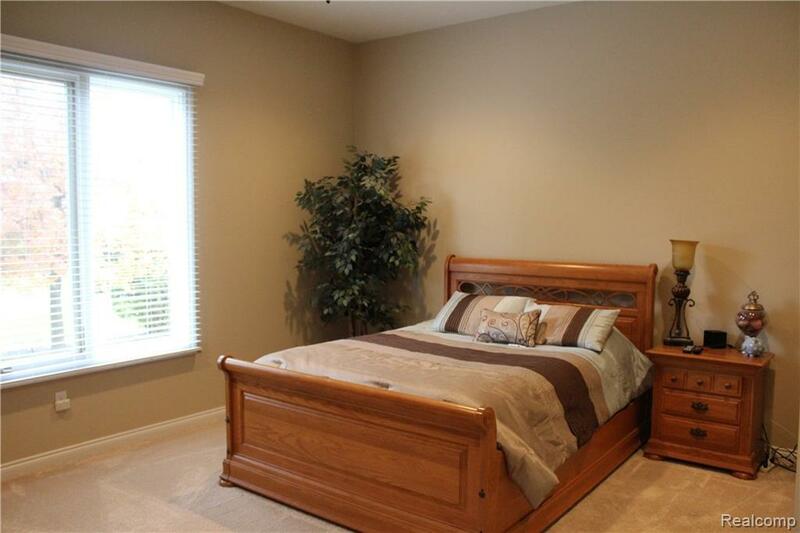 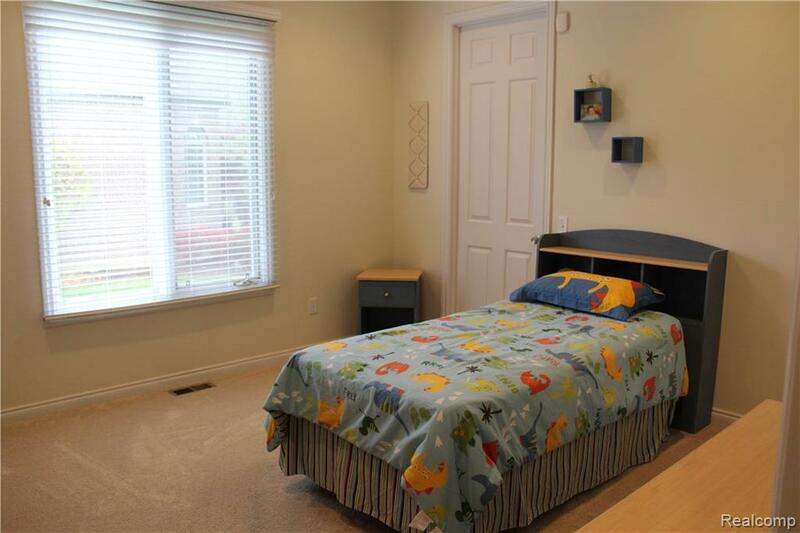 All bedrooms have walk-in closets with 8' doors. 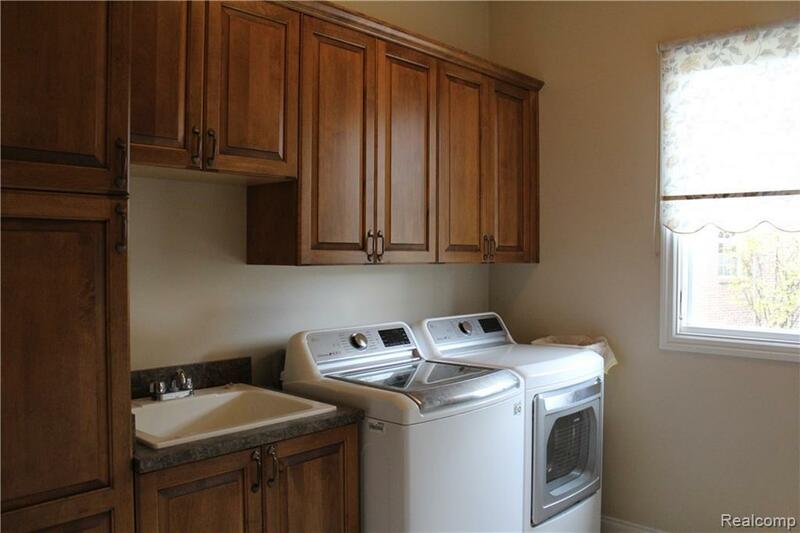 Separate laundry room with built-in LaFata cabinets. 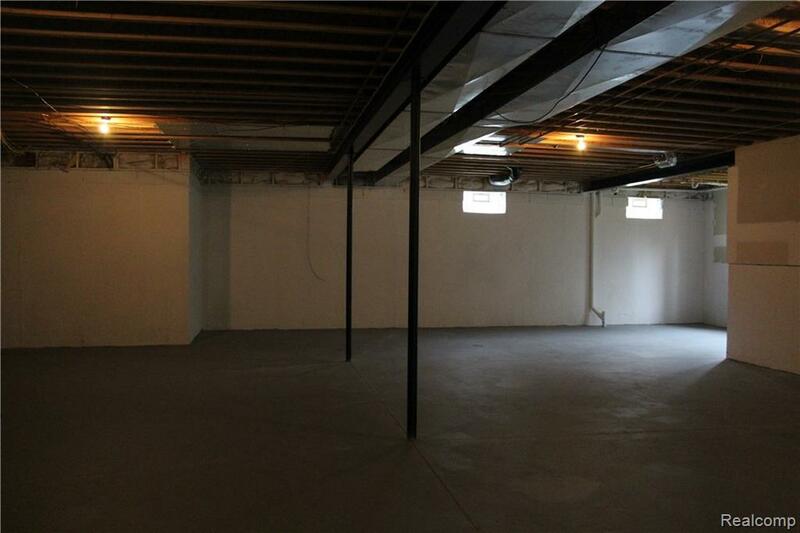 Daylight basement with extra wide staircase, 10' ceilings, and prepped for a 4th bath / 2nd kitchen / bar. 3 car side entry garage. 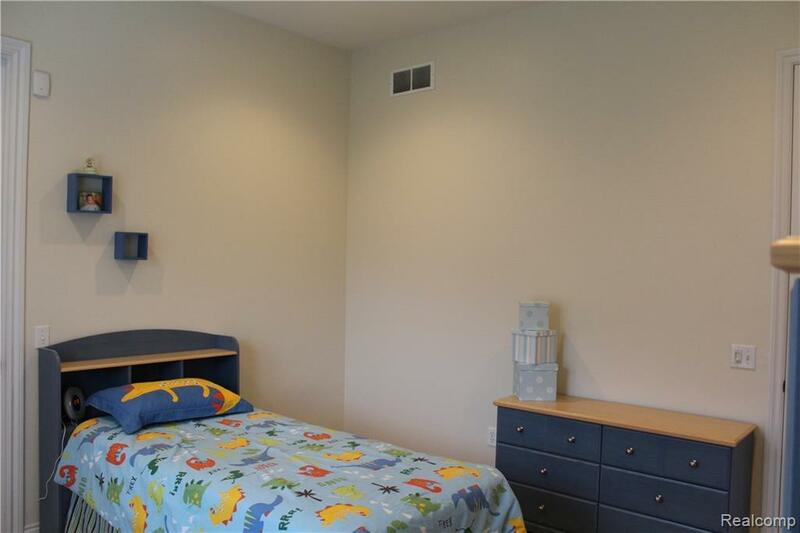 Professionally landscaped, sprinklers, and 15 Seer A/C system. 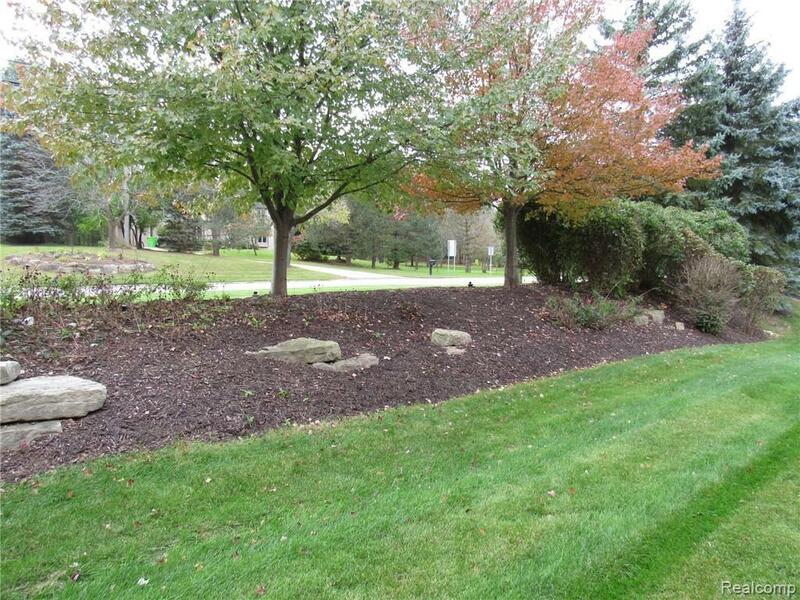 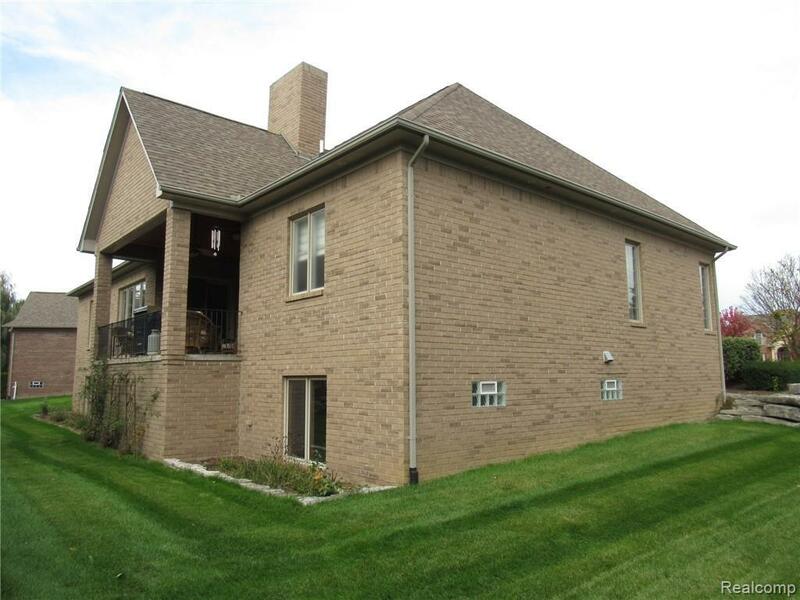 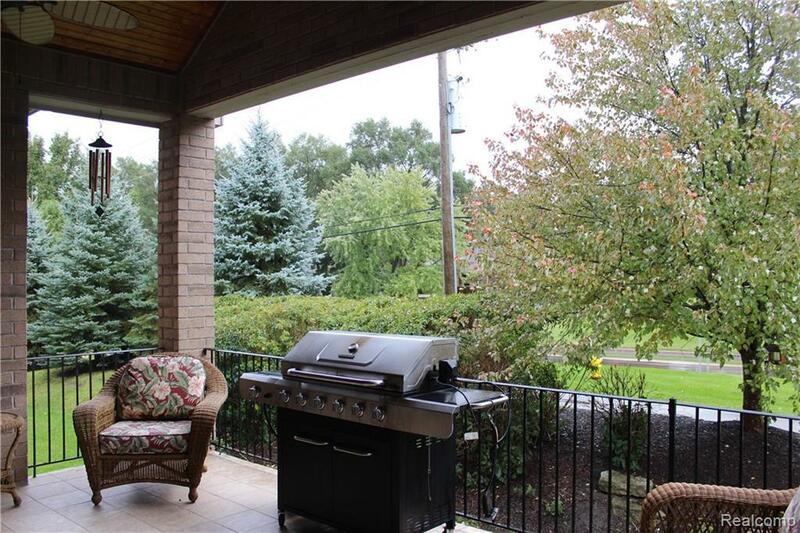 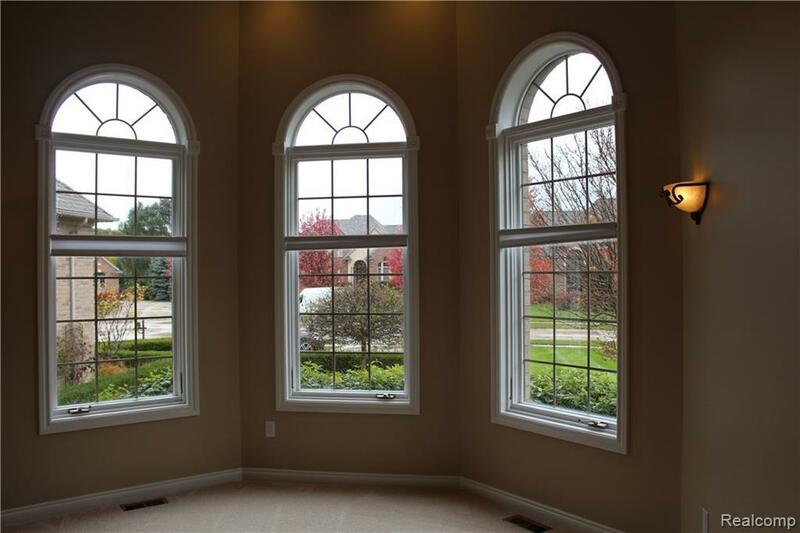 Minutes to Stony Creek Metro park, restaurants, and shopping.